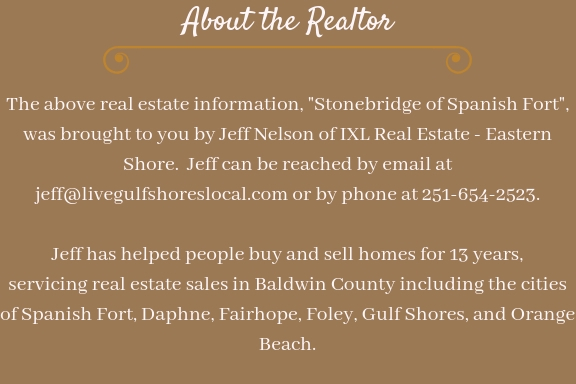 As a Realtor in Spanish Fort, I represent buyers and sellers for Stonebridge. Read on to find out more information about this great community. You'll also find all of the available homes for this area listed below. Please contact me if you need more details or a private showing. 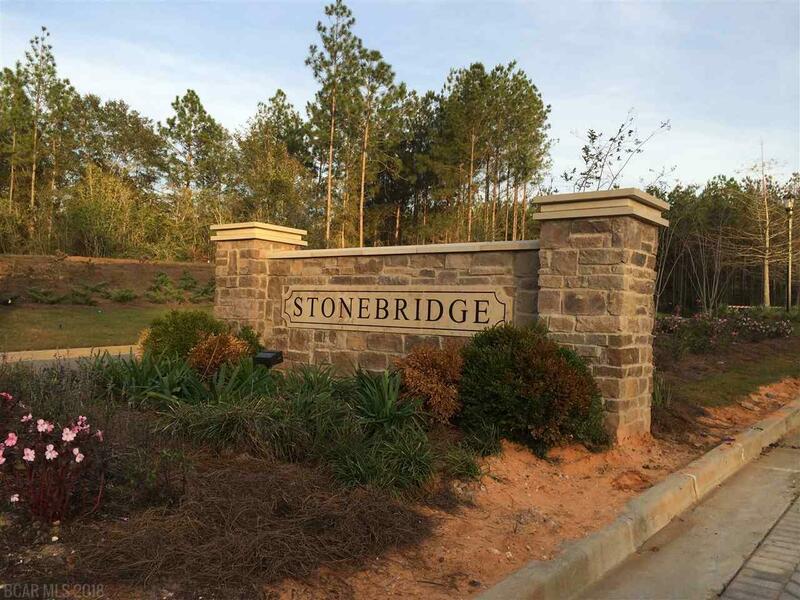 Stonebridge is a large neighborhood located on the east end of Spanish Fort off of Hwy 31. Development just started in 2014 and still today you will find many new homes that are for sale. Stonebridge is known for its Craftsman style homes, wide streets, and the envelope of thousands of pines that surround the subdivision. One of the characteristics that attract many buyers to Stonebridge is the family friendly vibe that it gives off. You'll find a great amenity package (that you'll read about further down the page), sidewalks, and street lamps. The majority of the properties are well-kept, clean cut, and show pride of ownership. Because of its location away from major businesses, the neighborhood may seem a little far out from the happenings of the surrounding area but that's not the case at all. With just a short drive of 4 miles, you will be at the doorstep of tons of shopping, restaurants, and the interstate. You'll have the best of both worlds: the privacy of being tucked away in the woods and the convenience of shopping just a few miles away. Stonebridge is a large community with several hundred lots. Most of the subdivision has already been developed but as of late 2018, there are a couple of phases that have yet to be built out. The first home in Stonebridge was sold in 2015 but the bulk of the properties were constructed from 2016 through 2018. As of this writing (Sept 2018), there are many brand new homes that are available to purchase. Look below to see all of the available inventory! There are many different floor plans represented here with both 2 story homes and ranches to choose from (mostly ranches). The smaller of the homes will have 3 bedrooms and 2 full baths with 1,659 square feet. The larger properties will have 5 or 6 bedrooms with either 3 or 4 full baths. The 6 bedroom home has 4,188 square feet. This data is for all of the homes in the neighborhood that have sold or for sale at the moment so look below to see what is available now. Let's look at what's been happening in the last 90 days! 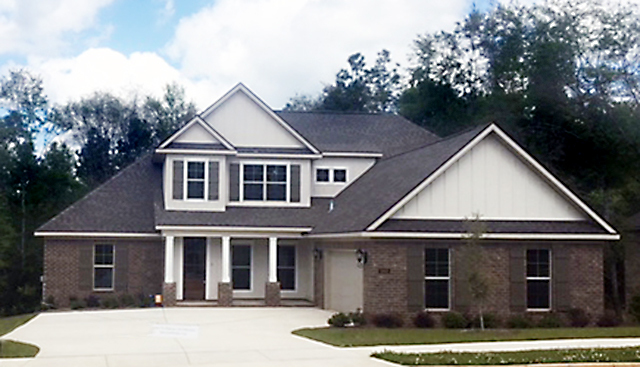 The Craftsman style is very popular in Baldwin County. For the inside you'll find very open floor plans with nice furnishings, flooring, and cabinets - Very tasteful. For the two builders who I know construct homes in Stonebridge, they build to Gold Fortified Standards. Not all neighborhoods in Spanish Fort have community amenities and certainly not as many as Stonebridge. 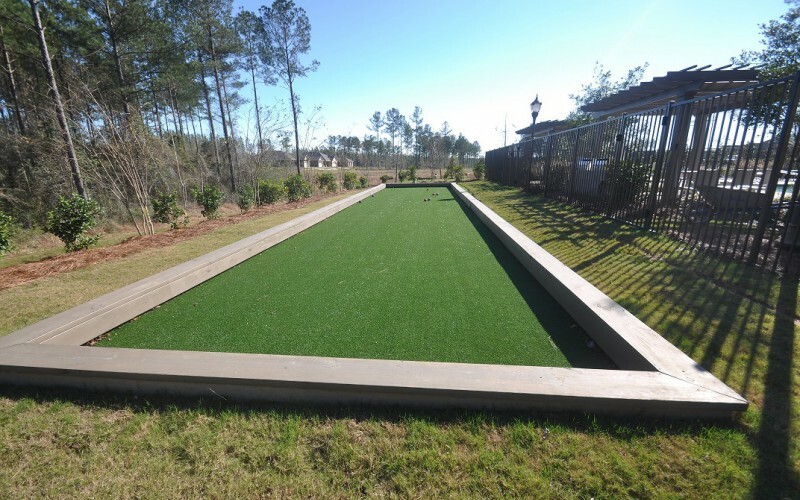 For the price point, this subdivision probably has the best amenity package in the area. As mentioned earlier, living in Stonebridge will afford you the feeling of privacy while still living close to shopping, restaurants, major highways, and schools. If that wasn't enough, there's another large shopping center on the other side of town, Spanish Fort Town Center, that features a Bass Pro Shop, Kohl's, and JCPenny. If you do have children you'll quickly find that the Spanish Fort school system is above average according to greatschools.org. 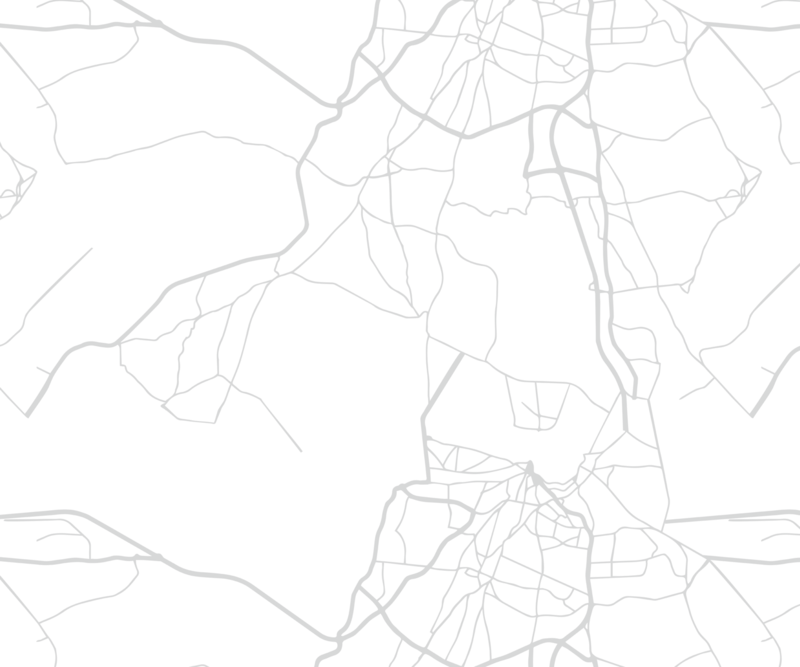 Also, the city really isn't that huge so getting to the schools is not a big deal at all. For instance, Spanish Fort High School is just 4 miles away from Stonebridge. The high school has 1,072 students for the 18'-19' school year. 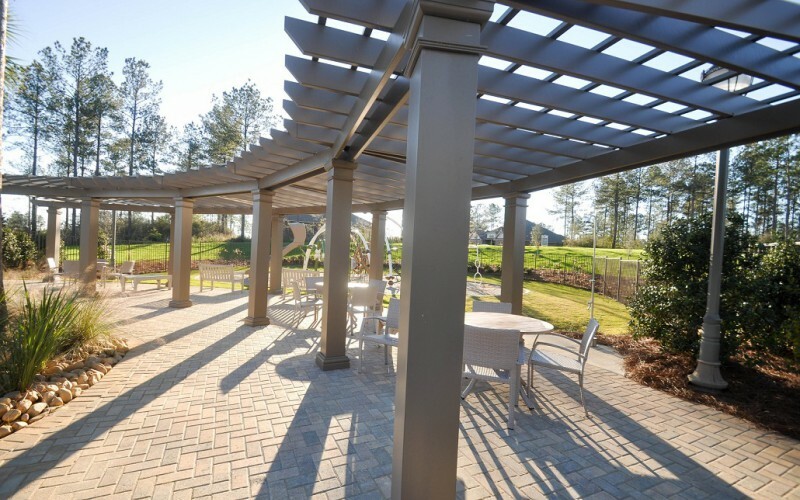 Do you want to learn more about Stonebridge? I'm so glad you took the time to read about the wonderful Stonebridge community and all that it has to offer. Please contact me if you need even more details about a property, advice on pricing, or if you would like a private tour of any of the available homes.